Who wants a FREE PDF Copy of ALL 5 VOLUMES of Lakings "Record of Eropean Armour & Arms through 7 Centuries"? This series is out of print, very difficult to find, and extremely expensive as a set. The copies are crystal clear. Just make sure you have enough time to download. It took my ancient computer 10 -15 minutes each Volume. There also appears to be some other wonder Arms & Armour resources on Internet Archive. I just downloaded a 466 page book on Spanish Arms and Armor. In all I've downloaded 10 books and I've only found the website a couple hours ago and I'm still looking for more. Oh and don't be fooled. The first few pages of all of the books that I've downloaded have been blank. The books will actually start around page 8 so don't get discouraged. Now I just have to find the time to read them all. Wonderful discovery! You deserve a Gold Star on your report card. I own an original copy of the last volume; it took me about 20 years to come by that. Really, really great, Jason! Thanks a ton. Wow, these things come down fast. I'm getting 12mbps....it takes a few seconds to download each one. I wonder what else they have...I'll clean them out! a somewhat later date, as is the grip (Fig. 124). Here are 2 more you guys might want to check out. I haven't taken the time to read the content but they both have some wonderful plates in them. 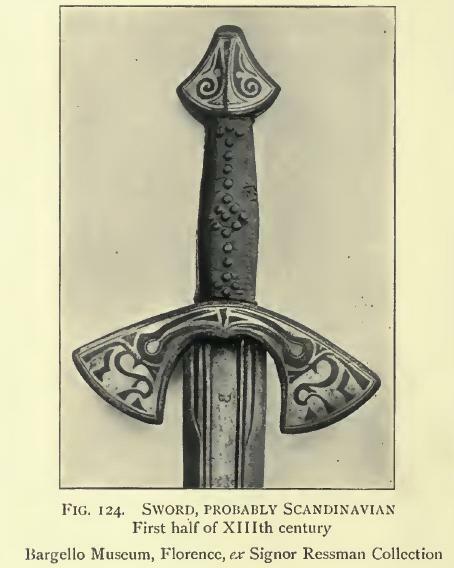 "Foreign Armour in England" also has some color plates. "Spanish Arms & Armour, being a Historical and Descriptive Account of the Royal Armoury of Madrid"
It's really a amazingly great, great site not only about Arms & Armour but many fields, I found William Napier's History of War in Peninsular and Southern France 1807-1814, Sir Oman's History of Art of War in the Middle Ages, Wellington's Army, Sir Fortscue's History of British Army, and many other useful and hard-to get books! What's more,most of these texts in PDF have been OCRed and can be quoted instantly! Thank you very much!